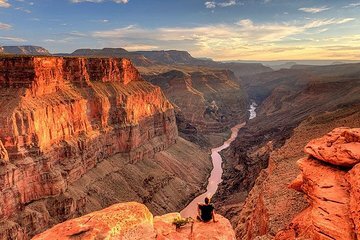 Explore the West Rim of the Grand Canon on a full-day tour from Las Vegas. Travel in a comfortable vehicle with a small group, making a short pit stop at the Hoover Dam. At the canyon, you’ll ride a shuttle to two of the park’s most well-known landmarks—Eagle Point and Guano Point—in order to maximize your time on the ground. Return to the welcome center where you can snag a few souvenirs, then return to Vegas with fantastic photos and new memories. Ask about the add-on “city lights” helicopter as an add-on upon the return.